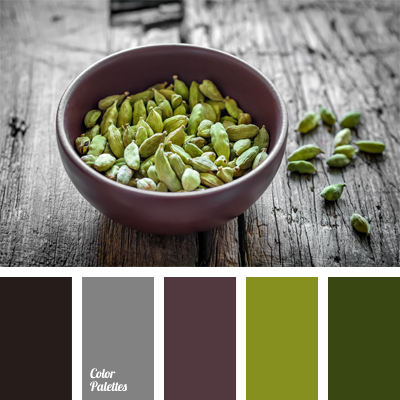 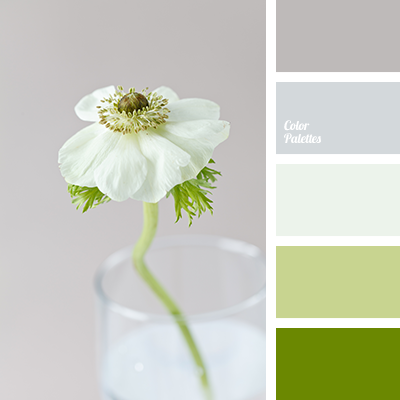 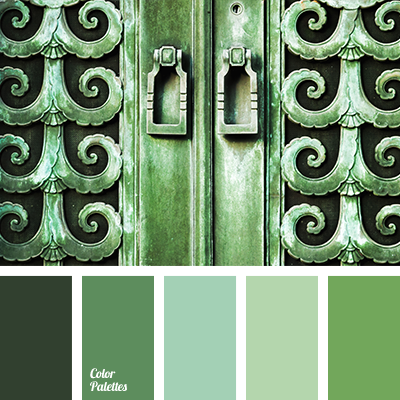 Quite palette in which different shades of green – a deep dark green, grass and apple blend harmoniously with the soothing color of wet asphalt and a neutral gray. 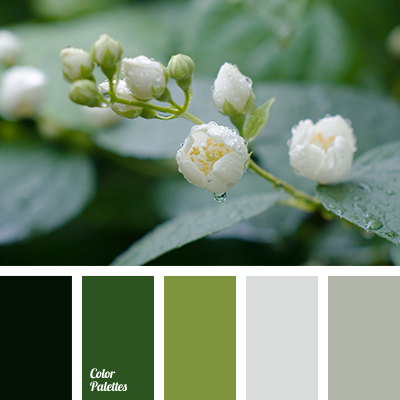 In the interior of premises you can use both contrast and smooth combinations of these colors, but it is preferable to use lighter tones. 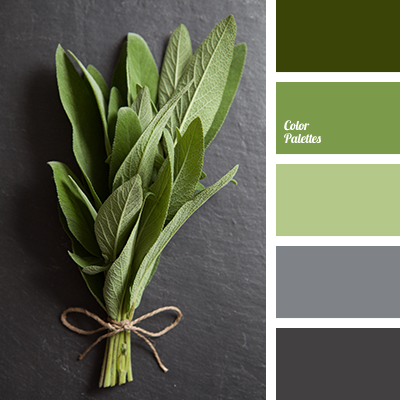 color of greenery, dark gray, dark gray and gray, dark gray and green, gray and light green, green and dark gray, green and light green, light green, light green and dark gray, light green and gray, light-green and green, mint leaves, shades of light-green.